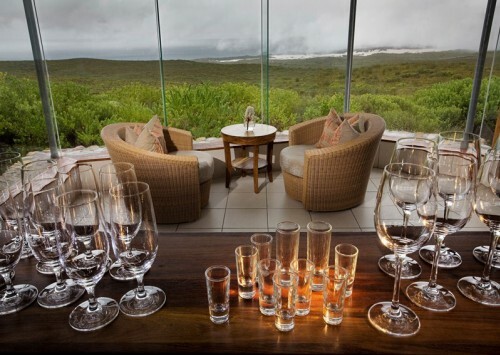 Grootbos Nature Reserve, with its two 5-star lodges and luxury accommodation, is spectacularly situated on the fynbos and forest clad hills overlooking the whale-watching haven of Walker Bay. 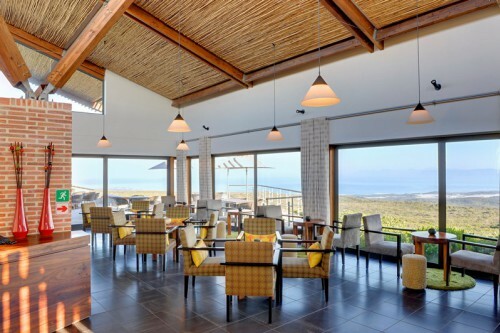 Grootbos has carved a unique niche in the upmarket eco-lodge sector by specializing in the Cape region of South Africa’s world-renowned flora and marine biodiversity. 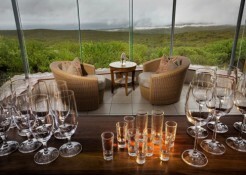 This multi-award winning 2500 ha reserve is home to more than 760 different species of plants, offers warm hospitality, excellent cuisine, fine South African wines and is a nature lover’s paradise. Accommodation is in 27 spacious luxury suites, all with sweeping views across the dunes and ocean, private wooden decks, bathrooms, finest bedding and separate living rooms with cosy fireplaces. Built in 2009 by the South African architects of FieldArchitecture, The Villa is the latest addition to the Grootbos portfolio.Our brand-new luxury villa is an architectural masterpiece of sophisticated contemporary design, embedded exactly in this incredible surrounding. It includes 6 elegant suites with splendid 180 °-view of the ocean, where you can enjoy sublime sunsets without even having to leave your holiday home. The villa is equipped with multiple spacious common areas: spend some delightful moments around the fireplace in the living room with your beloved ones, enjoy excellent food prepared by your private chef or relax in the outdoor pool while overlooking a nature lover’s paradise. - Forest Lodge accepts children over the age of 12 years. All reservations require pre-payment 30 days prior to day of arrival of guests! Room size: from 75 – 85 m2; Suite features a spacious bedroom with en-suite bathroom, separate lounge with tea & coffee making facilities, minibar, cosy fireplace, DVD player for in-room entertainment. 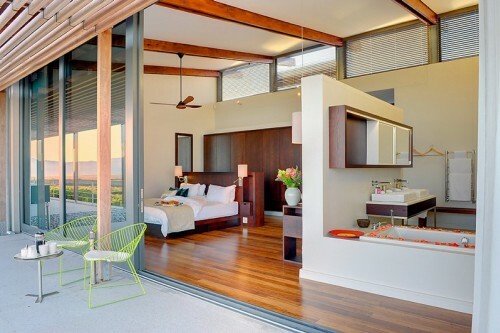 The spacious suites open out onto a private outside deck overlooking the Walker Bay. As with all One-Bedroom Luxury Suites at Garden Lodge, facilities such as a separate bath, shower and toilet, satellite TV and secure room safes are standard. Room size: from 55 – 60 m2; Suite features a spacious bedroom with en-suite bathroom, separate lounge with tea & coffee making facilities, minibar, cosy fireplace, DVD player for in-room entertainment. The spacious suites open out onto a private outside deck overlooking the Walker Bay. As with all One-Bedroom Classic Suites at Garden Lodge, facilities such as a separate shower and toilet, satellite TV and secure room safes are standard. The One-Bedroom Classic Suites do not have a bath; they are only equipped with a shower. Room size: from 80 - 90m2; Our 2 Bedroom Suites epitomise luxurious home-from-home comforts and are ideal for families or friends travelling together. These spacious suites feature two private en-suite bedrooms with en-suite bathrooms (one with shower and one with bath), separate lounge and dining area with tea & coffee making facilities, minibar, cosy fireplace as well as a DVD player. 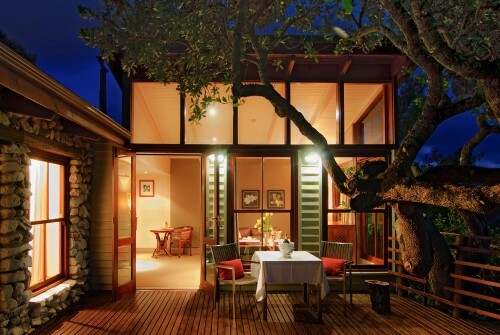 The spacious suites open out onto a private outside deck overlooking the Walker Bay. As with all Two-Bedroom Luxury Suites, facilities such as satellite TV and secure room safes are standard. Room size: from 75 – 85 m2; Suite features a spacious bedroom with en-suite bathroom, separate lounge with tea & coffee making facilities and separate bathroom, minibar, cosy fireplace, DVD player for in-room entertainment. 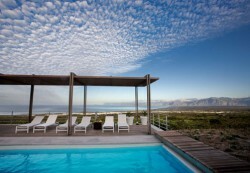 The spacious suites open out onto a private outside deck with outside showers overlooking the Walker Bay. As with all One-Bedroom Luxury Suites at Forest Lodge, facilities such as a separate bath, shower and toilet, satellite TV and secure room safes are standard. The villa offers 6 luxury suites with breathtaking 180 °-view of the ocean and is designed to accommodate up to 12 persons. Two separate wings guarantee that every resident can find the necessary privacy one requires. Each one is composed of one main and two normal suites. Guests can have some time for themselves in their private suites and outside decks with outdoor showers before coming together in the communal area formed by kitchen, lounge, dining room and outdoor pool. Suite 1: this is the biggest suite of the villa and offers a large double bed with direct view over Walker Bay and the surroundings through large glass windows. The 64 square meter room includes an en-suite bathroom with walk-in shower, two wash basins, a toilet and a bathing tub, overlooking the stunning landscape. The air-conditioned room is equipped with a minibar and exquisite oak furniture. A glass door leads to a private terrace with outdoor shower.Suite 2 has a size of 52 square meters and includes the same furnishings as suite 1 as well as a double shower. However it represents one of the highlights of the villa as it offers a freestanding bath tub in the corner of the bathroom. By simply opening the large glass doors, the guest can experience fresh sea air and unwind amidst the splendors of nature. These doors also lead to a private deck where you can enjoy the extraordinary feeling of floating in the fynbos in summer. A beautiful screened outdoor shower is also available. Moreover, this bedroom has a second terrace as well as a private indoor lounge equipped with comfortable couches, low coffee table and flat screen television with DVD-Player and stereo system. It also offers a nice fire place, a minibar and access to the private terrace with outdoor furniture.Suite 3 and 4 are situated next to Suite 2. The two 31-sqm rooms are equipped with two twin beds each and en-suite bathroom with wash basin, toilet, walk-in shower and bath tub. Furthermore they both have access to the large court yard and offer a panoramic view over the bay. 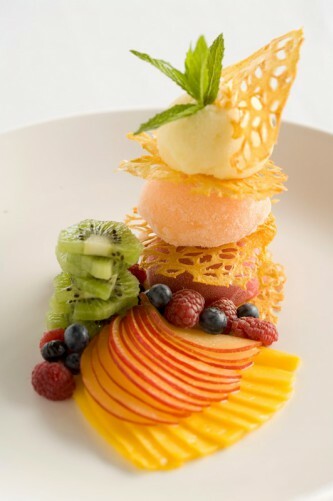 Led by Executive Chef Duane Lewis, the restaurant’s young and energetic chef’s team creates “Old School dishes with a modern twist” that is refreshing and contemporary and boasts dishes that represent colour, freshness and simplicity. What Duane personally likes to achieve with his cooking is to celebrate the ingredient and not the recipe. The taste of the ingredients must be kept, but by enhancing and experimenting with it he creates the most extraordinary dishes full of natural flavours and freshness! In order to have a constant supply of freshly grown vegetables and fruit, Grootbos has started its own Social Responsibility Project called “Growing the Future”. Following the success of the Green Futures model, the Grootbos Foundation has embarked on a new training project to further our commitment to developing the local community. Growing the Future is all about food production, and eight women are trained per year in the growing of vegetables and fruit, beekeeping and the principles of successful animal husbandry. As a passionate Chef, Duane only uses local ingredients to ensure that our guests can smell, taste, see and experience the most tantalizing delicacies his kitchen has to offer. Therefore, he feels very privileged to be able to go outside to our own gardens to pick home-grown organic vegetables and herbs. 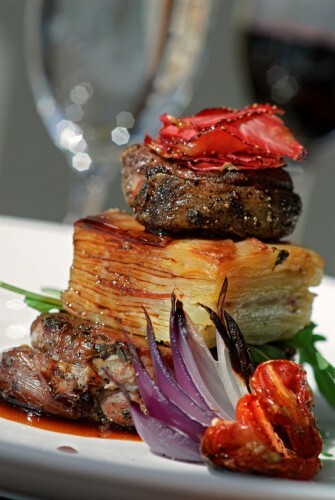 This is one of our biggest compliments of Grootbos and as a valued patron it is the Chefs’ duty to bring only the best quality to the tables of our guests! 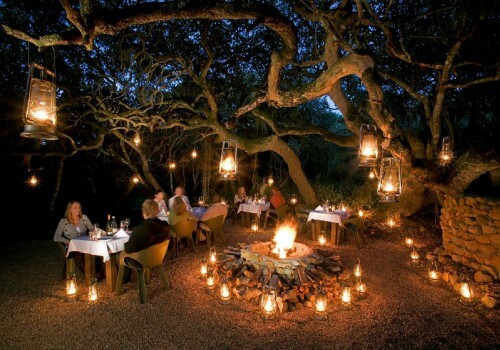 This is just one of the amazing advantages our Chefs have at Grootbos. As Grootbos is one of the biggest privately owned reserves in the Cape Floral Kingdom boasting more than 768 different species of fynbos, they can also revert back to a great variety of wild herbs to cook with. 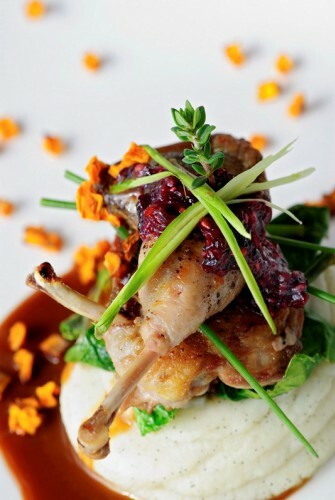 Duane proudly boasts with a kitchen of young South African Chefs – most of them internationally experienced. With great enthusiasm and passion, which is their secret recipe, they can accommodate and blow away any nationality of guest that stays at Grootbos! With very few imported ingredients such as saffron, parma ham, vanilla pods, all our ingredients served at Red Indigo are local or homemade. All our pastas are being freshly made on a daily basis – Duane is even proud to say that he has blended his own olive oil. All our meat gets purchased from the Overberg region, our fish comes from Gansbaai or Hermanus harbour and our eggs from our own chickens. It is needless to say that, when it comes to the ultimate African cuisine experience, we are playing in a different league. This is what makes our guests leave amazed by the delicacies served in a spectacular natural setting and makes them always come back for more. 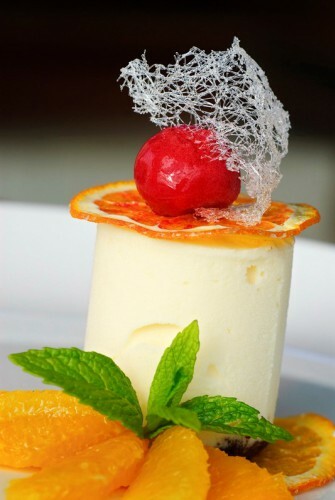 The combination of enjoying culinary delights in a 5-star environment and the awareness that at the same time one contributes directly to the Growing the Future project and he development of the local community emphasizes the uniqueness of the dining experience at Red Indigo. I grew up in Johannesburg where I started working from a young age in various catering establishments. I matriculated from Randburg High where some of my subjects were, Biology, Woodwork and Hotel Keeping. 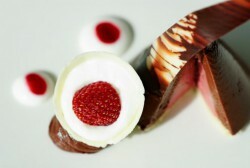 After school I applied to further my studies at the Institute of Culinary Arts (ICA) in Stellenbosch. I loved the Theory and History of Cooking classes where one learns about the origins of food and how it is prepared in different parts of the world. The basic and fundamentals stay the same. The elements of food intrigue me- when you bake bread every ingredient you add is there for a reason; the sugar is to feed, add salt for flavour, the water combines all the ingredients and the yeast is for the rising that activates the gluten that shapes the bread. Viola! You can feed a family! While at ICA I also did a lot of practical work where I was placed at restaurants and hotels like, The Bay Hotel in Camps Bay, Zero 932 in Green Point, and The Marine Hotel in Hermanus. After completing and graduating in 2003 I took up permanent position at The Marine Hotel’s Seafood Restaurant. This is where I learnt the fundamentals of seafood cooking and I still enjoy it to this day. In 2006 I came back to South Africa and started as a Chef de Partie at Grootbos. Slowly but surely I climbed through the ranks during 7 years of service. I believe it is very important to move up through the ranks, because it builds character and gives you a great understanding of what it is to be a chef and what it takes to become a great chef. Grootbos was and still is a wonderful platform for young chefs to start their career at. You have the freedom of creating new dishes and living out your passion. This is also were I learnt a lot of my managerial skills and how to compile the perfect menu. I learnt a lot from my head chef here and now appreciate my very competent and willing team. We can only go from strength to strength together! I am looking forward to this new chapter in my life as the Head Chef at Grootbos. This has been a goal, dream and passion of mine for a very long time. Grootbos stands for everthing that I want to be part of and I am excited for this new challenge. From Cape Town: Take the N2 from Cape Town, past the Airport to Somerset West. Either follow the N2 over Sir Lowry’s Pass turning on to the R43 after the Houhoek Pass, or take the R44 along the coast and turn onto the R43 to Hermanus. Drive through Hermanus, Grootbos is situated 13km past Stanford on the R43.